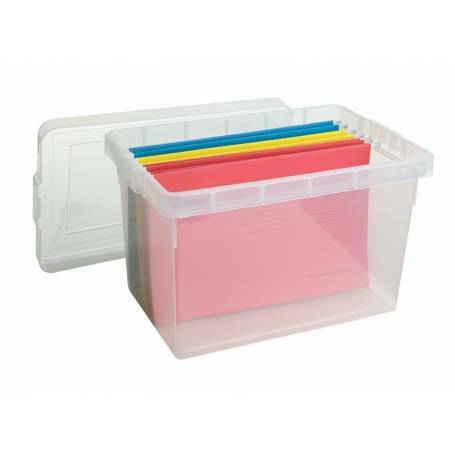 These clear filing boxes with lids are designed to fit A4 folders. Store away the overflow from your office or pack away old treasures for safe keeping. The contents of these boxes can be easily viewed even when stacked. The snug fitting lid ensures they seal tightly.